Mr. T Maintenance Services, Inc. Comment: Steam clean three bedrooms, dining room, upstairs hallway and starewell and landing. Comment: High traffic areas need to be cleaned for a Graduation party on May 18th. Significant pet urine spots in these areas. (New puppy) Don't necessarily want to move furniture, just need to make these areas look as good as possible. Comment: Split level home with 2 stairways, 2 small bed rooms with cleaning around the baseboards and hallway. Also, a small living room and a medium sized family room. Comment: We are getting ready to list our house so we are looking to have all the carpet and two sofas cleaned. Olathe Carpet Cleaning Services are rated 4.80 out of 5 based on 744 reviews of 19 pros. 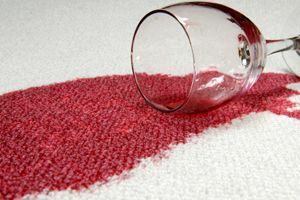 Not Looking for Carpet & Upholstery Cleaning Contractors in Olathe, KS?